NEW YORK, August 27, 2018 – InvestAcure, PBC announced today that Pierre Tariot, one of the world’s leading Alzheimer’s researchers and director of the Banner Alzheimer’s Institute, has joined the InvestAcure, PBC advisory board. InvestAcure is building a spare change investment platform to help millions of people impacted by Alzheimer’s invest in companies working on a cure. Dr. Tariot has joined the scientific advisory board to provide guidance in both educational programming and in developing a strategic vision for advancing the development of treatment and cure for Alzheimer’s disease. “Dr. Tariot is one of the world’s leading experts in translating cutting-edge science into treatment and cure. Having him join our scientific team helps build a solid foundation for realizing the InvestAcure vision in the fight against this horrible disease,” said Max Tokarsky, the CEO and founder of InvestAcure. I witness the devastating toll that this disease takes on my patients as each one gradually loses his or her very identity and ability to function. All the while, progress in developing promising treatments is slowed by difficulties in securing industry investment. InvestAcure has developed an innovative plan that promises to fundamentally change that dynamic and help accelerate our efforts to find new treatments so that we don't lose yet another generation to this terrible disease. Dr. Pierre Tariot is the director of the Banner Alzheimer’s Institute in Phoenix, one of the leading Alzheimer’s research centers in the world. Over his long career, he has led efforts in investigating the diagnosis, therapy and prevention of Alzheimer’s disease, publishing over 350 papers on these topics. Several of these studies have led to Food & Drug Administration (FDA)-approved treatments. 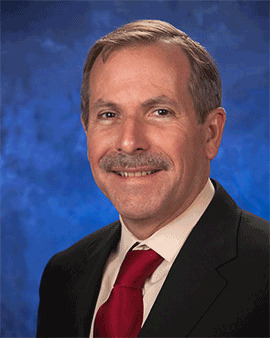 These accomplishments have earned Dr. Tariot many awards, including the American Geriatrics Society New Investigator Award for Neuroscience, Arizona Geriatrics Society Geriatrician of the Year, National Institute of Mental Health Geriatric Mental Health Academic Award and the UCLA Turken Research Award. Together with his colleague Eric Reiman, he serves as co-director of the Alzheimer’s Prevention Initiative, an NIH-funded international program to study experimental therapies that may delay or even prevent the symptoms of Alzheimer’s in people at high imminent risk. He is a research professor of psychiatry at the University of Arizona and a Fellow of the American College of Neuropsychopharmacology. His research affiliations include the NIA, the NIMH and the Alzheimer’s Association. InvestAcure is a Public Benefit Corporation with a vision to see a world where drug companies are owned by millions of spare-change investors committed to curing Alzheimer’s. To realize this goal, the company is building a spare-change investment platform to enable those impacted by Alzheimer's to partner in the search for a cure by rounding-up day-to-day transactions and investing the spare change in clinical stage pharmaceuticals working on promising drugs. This would help transition investment leadership from a narrow group of profit-driven investors to a much larger and stable investor base motivated primarily by the search for a cure, leading to more clinical trials, more drugs and drug combinations tested and progress to a cure. For additional information about InvestAcure, PBC visit www.investacure.com or email [email protected].